Playing the mridangam remains largely a male vocation even today, but even before Independence, Thirukkornam T S Ranganayaki Ammal gained fame as an acclaimed mridangam artiste. 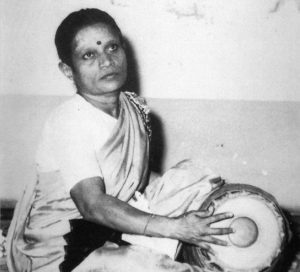 When M S Subbulakshmi performed on the stage replacing her mother Madurai Shanmugavadivu at the Mysore palace for the first time, Ranganayaki accompanied her on the mridangam. 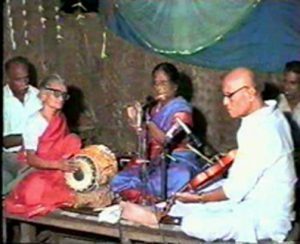 Ranganayaki has played with stalwarts including Ariyakudi Ramanuja Iyengar, T R Mahalingam, Mysore Chowdiah and Veena Dhanammal. In 1926, at the age of 17, she accompanied Lakshmana Pillai at the music conference conducted as part of the All India Congress session in then Madras. She played at the Ustad Abdul Karim Khan concert that followed Lakshmana Pillai’s performance. 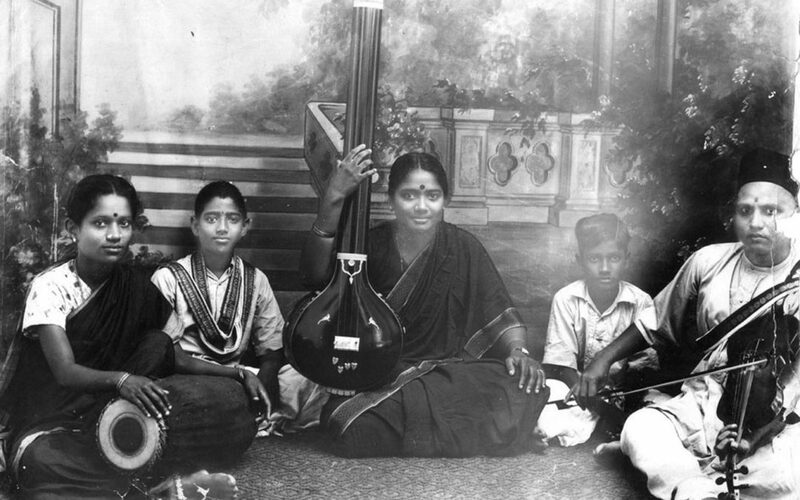 Ranganayaki Ammal was born to Sivarama Nattuvanar, court musician at the Pudukottai kingdom, and Nallammal in 1910. Pioneering physician and social worker Dr Muthulakshmi Reddy was a close relative. Siva Brinda Devi who became the first ever female Adheenam – head of a Saivite mutt—was her elder sister. She learned mridangam as part of gurukulam education for 13 years with Dakshinamurthy Pillai. When she turned 13, she had her arangetram. She accompanied Ramachandran Pillai and his father and another court musician Iluppur Munuswamy Pillai as they played the violin. Though she learned dance formally, she stopped dancing when she turned 15 to focus on mridangam. Ranganayaki has played for AIR Tiruchy. She was also in its panel selecting musicians. She has played in Singapore and Malaysia. In 1966, she started her teaching career in Sri Padmavathy college in Tirupati. After a seven-year tenure there, she served as a part-time mridangam teacher in Sri Sadhguru Sangita Sabha in Madurai. She bagged the 1971-72 Kalaimamani award from Chief Minister M Karunanidhi. Getting the award with her was Jayalalithaa. In 1977, she was honoured by then MGR, then chief minister. Her thani avarthanams were a delight to listeners, recalls Pudukottai Thilagavathiyar Thiruvarul Adheenam Dayanandha Chandrasekara Swamigal who is the adopted son of Siva Brinda Devi. “She stopped playing when she developed heart problems. After a gap of 14 years, she played the mridangam, at my wedding. It was also her last performance,” he recalls. Sayimatha Siva Brinda Devi (1927–1998), the head of the monastic order Pudukkottai Thilakavadhiyaar Thiruvarul Adheenam was a younger sister of Ranganayaki, he added.